SEO – Search Engine Optimization , Vancouver BC. Serving clients across Canada & US. Looking for SEO Agency or SEO Consultant ? 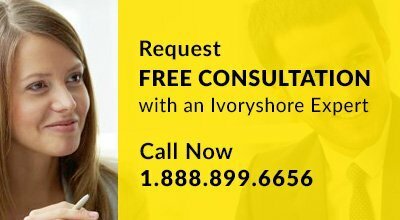 Ivoryshore SEO Experts have helped 100+ companies with their Search Engine Optimization to get Ranked on Page 1 of Google and Bing. Every day approximately 1 billion searches are performed to find information, a product or a service. Your product or service is also a part of these 1 billion searches. Whenever someone searches your service or product on Google or Yahoo or Bing and if they do not find you on Page 1 of Search Results, you lose a potential customer/client. If this is happening 10,000 times that you are not in search results, you are losing many potential customers. IvoryShore SEO experts work on getting your Website ranked higher in search results for keywords related to your business and for searches originating from the geographic region where you operate your business. We trust our experience and expertise. So far in our history of operations, we have worked on 100+ projects. We work like your genuine extended team and not just another service provider. With the success of your SEO program and an improved online image, your small business can soon reap huge benefits at a Reasonable Price! Strategy Consultation was thought provoking. Pleasantly surprised to see the speed in seo results. I have no hesitation in recommending Ivoryshore. Infact we are doing our 3rd project with Ivoryshore this summer & in future too Ivoryshore is my preference for all the web work. See how we can help you with your SEO project.